Danusia Samal is a London-born actress, writer and jazz singer. Busking It, inspired by her experience as a London Underground busker, is written and performed by Danusia. It is currently being commissioned by Shoreditch Town Hall and co-produced by High Tide Theatre. The production will tour to London, Alderburgh, and Edinburgh in 2018. Click here for more information. Onstage, Danusia has played a diverse range of roles at leading British theatres, including the Royal Shakespeare Company, Royal Court, The Globe, Soho Theatre, Manchester Royal Exchange & Liverpool Everyman. Click here for gallery. Her screen credits include Ru’A’ in Fox’s hugely popular US series ‘Tyrant’, and Section 9 team member Ladriya alongside Scarlett Johansson in Paramount’s live action remake of cult classic ‘Ghost in the Shell’. Danusia is represented by Lizzie Newell at Independent Talent & Jill Kaplan at Authentic Management. Click here for full CV. In 2018 Danusia wrote and performed Busking It, a gig-theatre show inspired by her experiences as a London Underground busker. Busking It was commissioned by Shoreditch Town Hall and co-produced by High Tide Theatre. It toured in 2018 to critical acclaim. Click here for more info. Since then, Danusia has gone on to win the 503 International Playwriting Award for her play Out of Sorts, exploring a woman’s struggle with dual identity as a second generation migrant. Out of Sorts will be staged at Theatre503 next year. Danusia an alumnus of Soho Writers Lab, Tamasha Playwrights, and BBC London Voices. Other writing credits include Conditionally (Oxford School of Drama/ Soho Theatre), Langthorne Stories (Soho Theatre/ Waltham Forest), and Las Americas Above (Chaskis Theatre). She is represented by Alex Rusher at Independent Talent. Click here for Danusia’s writing page. As a musician, Danusia writes her own songs and collaborates with other artists. (Click here to check out some tracks!) 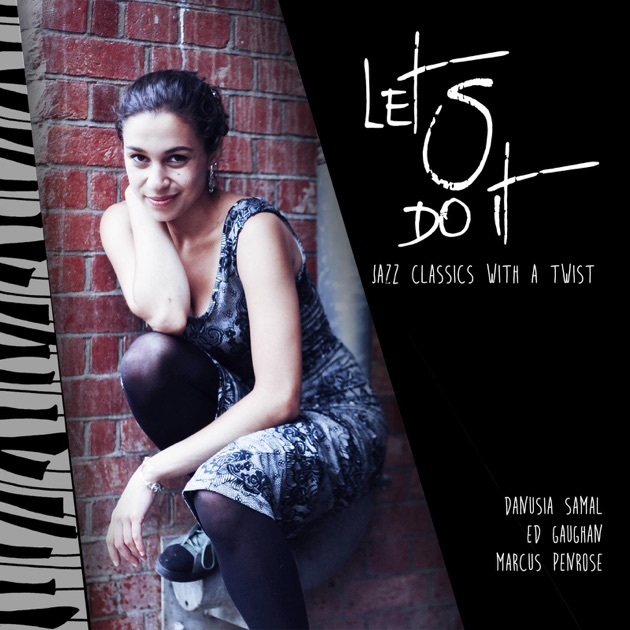 Her recent EP ‘Let’s Do It’ (buy here) is a modern take on jazz classics with guitarist and comedian Ed Gaughan. Danusia also collaborates with musical duo Hugely Problematic, who compose and perform the score for Busking It. Danusia performs regularly as a jazz/soul singer and is a grade 8 singer and fully qualified vocal tutor.